The Men’s Health League is a Cambridge initiative which addresses the prevention of cardiovascular disease and type 2 diabetes, especially in men of color. Men of color are disproportionately affected by cardiovascular disease and type 2 diabetes, as well as other chronic diseases. The Men’s Health League has designed integrated programs to increase physical activity, support healthy eating, and educate men about key health topics. 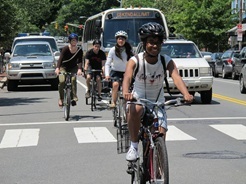 Cambridge in Motion, operating out of the Cambridge Public Health Department, is an initiative aiming to make it easier for residents and people who work in the city to eat healthy and stay physically active. 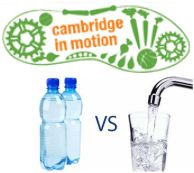 Cambridge tap water is the healthy, sustainable alternative to sugar-sweetened beverages and bottled water. Can you tell the difference between refreshing Cambridge tap water and bottled water? Come to our table at Get Healthy Day for a blind taste test, or to learn more! Dentists from the Winsdor Dental Clinic and Harvard School of Dentail Medicine will be able to provide oral health education and literature, preventive supplies (toothbrushes), and possibly basic screenings. You need healthy teeth to eat healthy food! Including information on WIC and the Spring 2015 War Memorial Recreation Brochure- lots of great stuff in there! Kristine Jelstrup, LMT, CBK will be using a form of muscle testing to do energetic nutritional assesments. The technique she uses is called the Morphogentic Field Technique. This assessment gives you an idea of basic nutritional needs and may indicate on organ system disfunction. This information will help attendees to better manage their health. 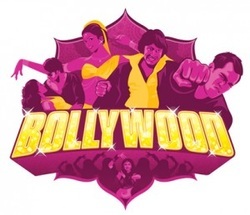 Renu Goyal teaches dance-fitness classes in the Bollywood tradition. She will talk about the benefits of Bollywood and Bhangra workouts and share information about classes available in Cambridge. Teleosis offers a one year First Aid/Acute Care Program designed for individuals, parents or healthcare professionals in how to use homeopathy for basic first aid and acute illnesses - flu, colds, anxiety, headaches, stomach upsets and more, as well as a three year program for those seeking to become professional homeopaths. Paule Debrosse, LMT, is a licensed massage therapist working in Cambridge for over 10 years. 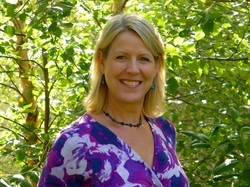 She offers a variety of modalities including Therapeutic, Deep Tissue, Sports and Prenatal. Each treatment is tailored to the client's individual needs. Dr. Means writes "I've always believed that the body has the power to heal itself. Chiropractic opened up the doors allowing me to share the knowledge of natural healing. 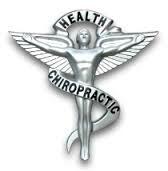 Trained as a chiropractor and a primary care physician, I am ready to meet your needs and get you back on the road to health." Daphne Jocknick, M.Ac., L.Ac, Dipl. AC. will be demonstrating how acupuncture works to restore balance to the body. She is an acupuncturist at Open Space Community Acupuncture in Union Square which offers affordable, effective acupuncture in a serene community environment.